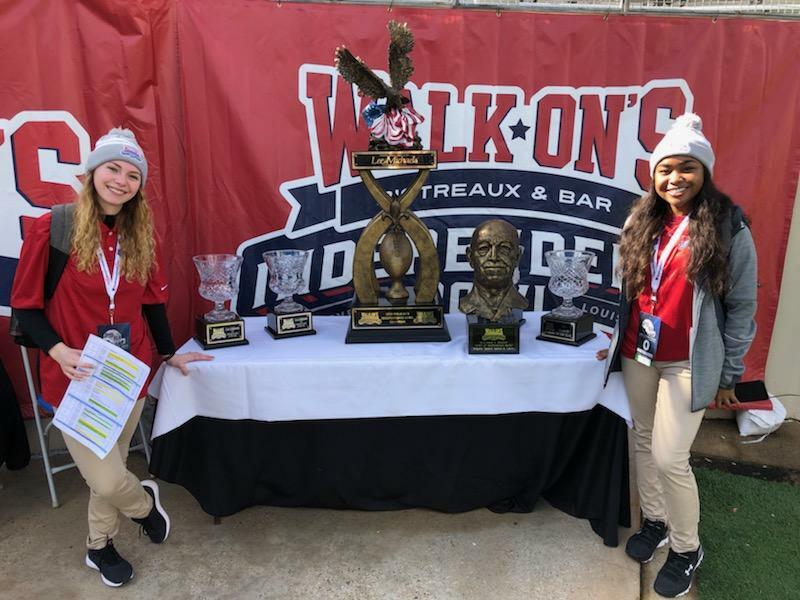 The Walk-On’s Independence Bowl continued to further the education of young students in 2018, as students from the Ark-La-Tex region and across the nation gained valuable experience during bowl week and throughout the year. Four different universities, Arkansas State University, East Texas Baptist University, Louisiana Tech University and Temple University, were represented with students looking to gain experience at the 2018 Walk-On’s Independence Bowl. Two students in particular who gained experience throughout the fall were Matt Valcho, a 2018 sports management graduate of Louisiana Tech University, and Matt Fortenberry, a recent Louisiana Tech graduate. Both spent the fall as interns for the Independence Bowl Foundation, working with ticket sales, marketing, corporate fulfillment, game-day operations and other fields. Students worked during bowl week and game day to help with marketing, corporate fulfillment and game-day operations, and that included two students, Mary Kate Meals and Valarie Jones, Temple University students who traveled to Shreveport from Philadelphia to gain experience working with a national collegiate football bowl game. “I had the privilege of traveling from Philadelphia, Pennsylvania to Shreveport, Louisiana to assist in marketing and operations for the 2018 Walk-On’s Independence Bowl. While there, I helped with pre-game set up and the preparation of breaking the world record for making the largest pot of gumbo! I also got to help post sponsorship signage, set up the Media Room and watch Temple and Duke warm up,” Meals explained on her experience. Arkansas State was represented with the most students, as a group of seven students traveled to Shreveport to help on game day.